A few notes about the article you are about to read: No psychics were paid for their services. For their protection, none of the psychics with whom I spoke are pictured in this article, and all of their names are changed. Nonetheless, the company which employs them is named. If you would like to contact them about what their psychics are saying to people who they think are cancer victims, you can contact them here. 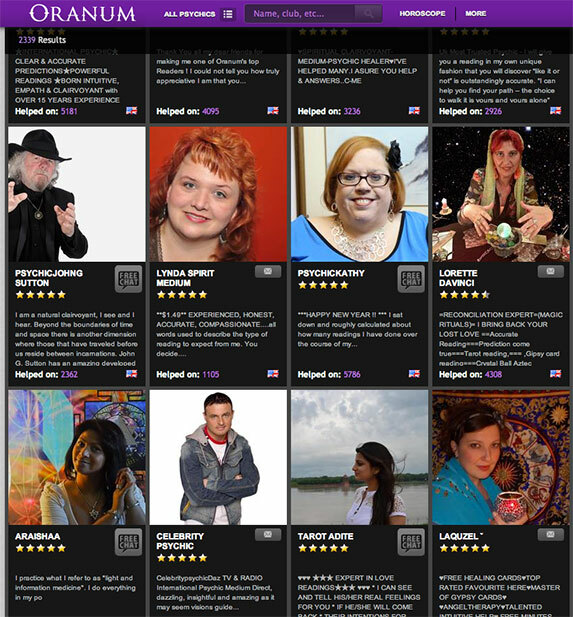 The online psychic industry is a seemingly bottomless collection of clairvoyants, tarot card readers, psychic healers, and other people in purple outfits. Like its predecessor, the psychic telephone hotline, and its contemporary, the “internet modeling” industry (which involves less clothing and more talking than the more traditional modeling industry), online psychics typically charge several dollars a minute for personal encounters, with some charging as much as $200 for a 30-minute session, making seeing a psychic often as expensive as seeing a therapist. Those who doubt the existence of psychic abilities point to the fact that clairvoyance would go against everything we know about science. But the vagueness of psychic powers poses a real problem when someone offers them for a price: when a psychic’s service cannot be pegged down by science, the practitioner can claim to do nearly anything... including curing cancer, ending suicidal depression, or bringing a lover back who is long, long gone. In fact, I once had a psychic tell me that my newly-ended four year relationship was “not over yet.” Fortunately for me and my ex, she was wrong. How many of the psychics would offer to help me skip medicine in favor of psychic healing? The first psychic I spoke to said that she could not tell me to stop seeing my doctor. “That’s against the law, okay?” she said, looking directly in the camera, at me and the others who were tuned into her “channel.” We were all typing in a group, trying to grab her attention, but the word “cancer” had apparently won. Someone else in the group thought she was talking to them anyway. “Why are you talking about cancer? Oh my god, do I have cancer? !” they asked. I quickly left, satisfied that this psychic had refused to endorse my choice not to get real treatment from a real doctor. The second psychic, a young woman with only two other people in her chat room, was eager to see a new screen name pop up in her chat. When I told her about my cancer, she stammered. “Oh, uh... Well...” I could see her arguing with herself silently. “Hold on,” she said, and then disconnected her computer. She didn’t sign on for the rest of the evening. I was beginning to think that these “psychics” were almost on the up-and-up. Perhaps their employer had diligently told them not to tell people to forego lifesaving treatment in favor of unproven techniques. But then I met a psychic I will call Nancy. Nancy was a dark-haired woman in her forties, who wore a grey shirt and Native American-inspired medallions. As she happily chatted with her twelve active chat room members, I attempted to edge in. “Hello, can you help someone with cancer?” I asked. I told her my story: that I had recently been diagnosed, but it was quite far along, and my doctor wanted me to undergo chemotherapy. I preferred spiritual solutions instead of medical ones, I said. “Oh yes, I understand,” she said. “I can do a healing on you, but we have to go into private chat.” Private chat meant paying for her services. I declined. “Come back tomorrow then,” she said. If you come to my free chat again, I will do one healing on you, and then you can come back for more.” I agreed and left. It was that easy to get someone to heal my cancer. Or at least, to promise to. As it turned out, Nancy wasn’t alone. A man in his late forties called Nate (not his real name) was willing to help me, albeit cautiously. “I have been told by a clairvoyant that I will have healing powers, but I don’t yet,” he said. He sat in his bedroom, in a purple shirt with his chest hair poking out of the top. Behind him, a golden sun and moon hung above a matching golden bedspread with a mysterious, locked wooden box atop it. There was probably a portal to Hell in it, but I didn’t ask. As the night wore on, I became more and more baffled by how many psychics claimed that they had a non-medical solution for me, yet none that appeared to be backed by science. Finally, I promised myself that my current psychic would be my last. I told her the story of my cancer: stage three, ovarian, and chemotherapy on the way.